A truely fantastic plant that will flower its heart out for months on end. An established plant will carry hundreds of long lasting flowers from early Spring through to the Autumn, only stopping for a couple of weeks break in very hot and dry conditions. 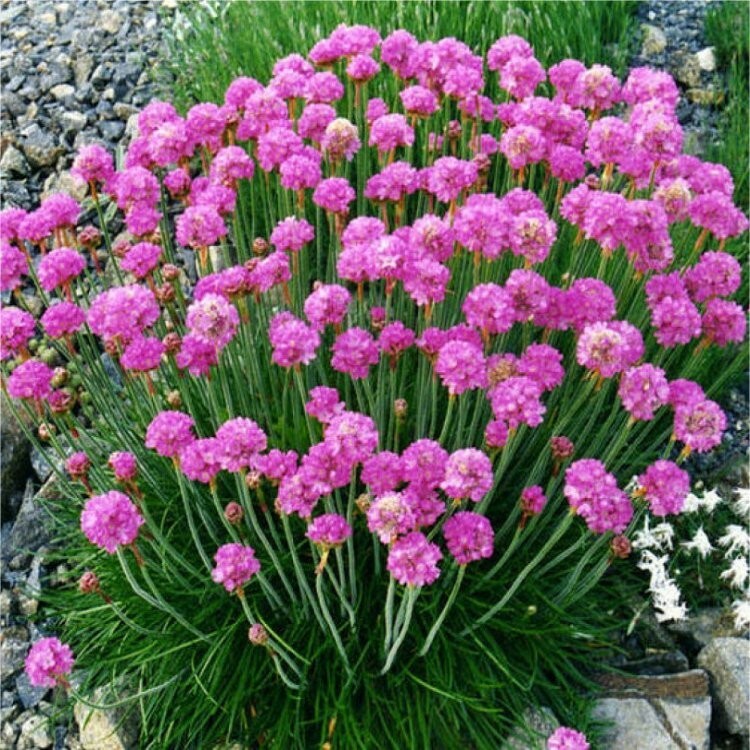 Flowers are bright pink on slender stems above neat grass-like foliage. The compact plants are equally at home as a alpine subject, at the edge of a border or in tubs. Supplied in approx 1 litre containers.